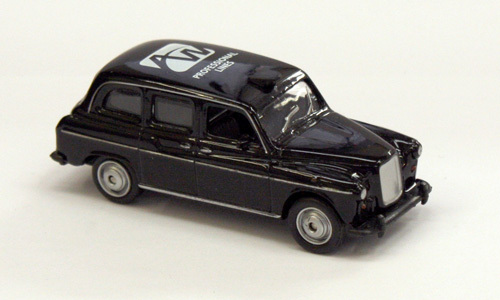 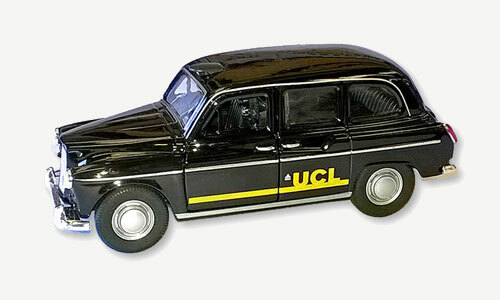 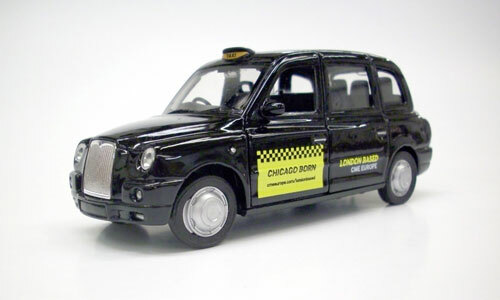 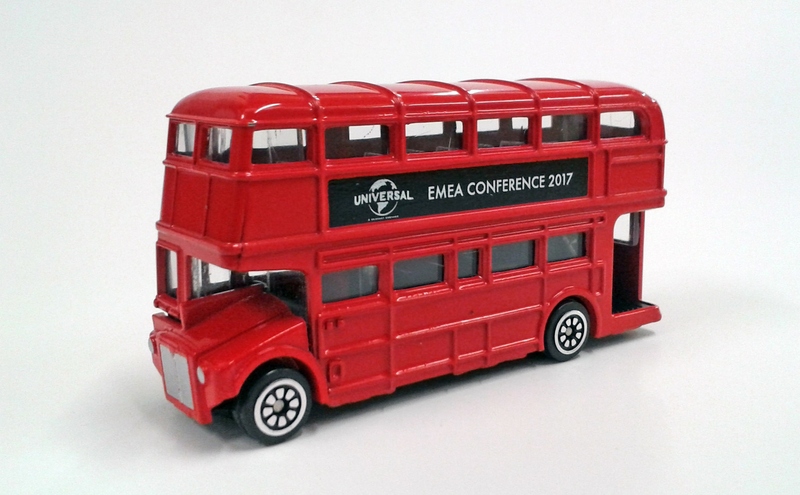 Experience and knowledge of diecast vehicles means that we can often come up with other vehicle types too, for example the bus and taxis shown here. 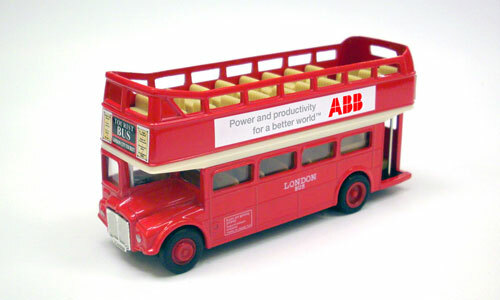 Ask about the possibilities for your specific ideas. 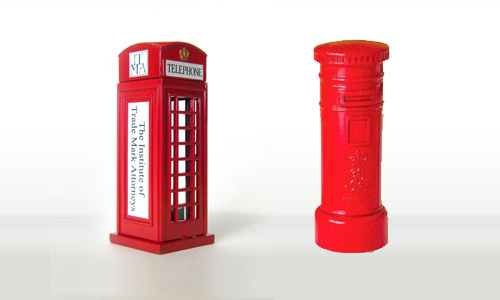 Also on a London/UK theme, we can offer telephone box or post box in 9cm size. 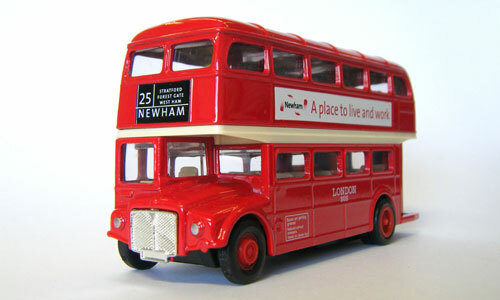 Branded with your message and can be used alongside the bus and taxi or as an imaginative alternative.